On this panel you can turn on/off the images in results, determine the image sources and resizing methods. 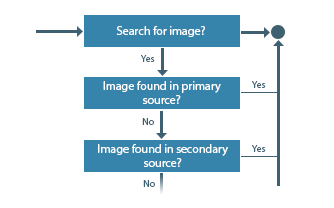 The search will parse through the given image sources starting from the primary source. As soon as an image is found it returns that image to the main thread and displays it on the results list. If you have choosen for any image source a custom field, then you must enter the name of the custom field which holds the image url.